In this article, I want to share with you how we manage demands in my company. 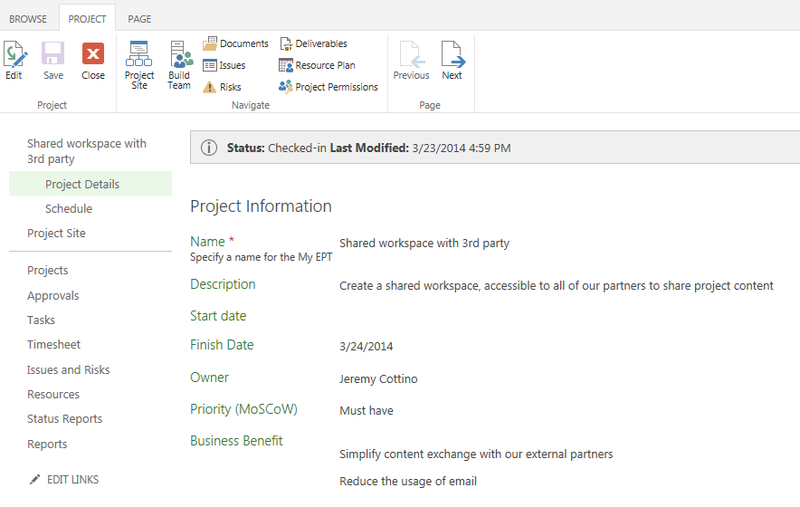 By using a SharePoint list to collect project ideas and initiatives, we are able using a very simple Project Server 2013 out of the box feature, to create a project and manage it. 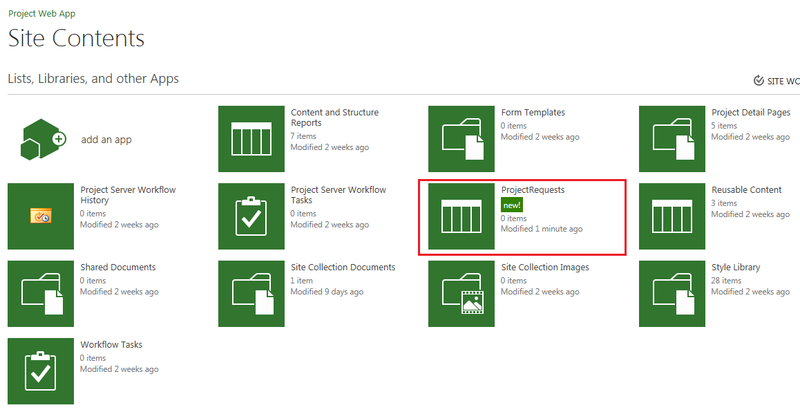 The first step consists in creating a new SharePoint custom list. For those who are not familiar with SharePoint, here is the “HowTo”. 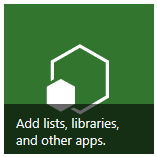 Click on the “Add lists, libraries and other apps.” Image on the PWA home page. If this default web-part is not present, you can access the same page by clicking on the settings button, then Site content. Finally on the site content page, click on add an app. 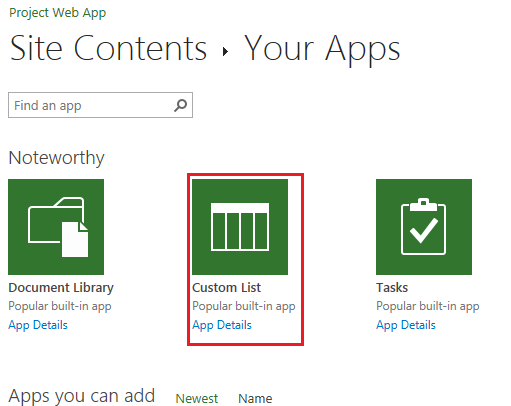 On the [Site Contents: Your Apps] page, click on Custom List. Enter your list name (e.g. ProjectRequests). By clicking on Advanced Options, you can add a description. Upon Create button click, you are redirected to the [Site Contents] page, where you can see your custom list. 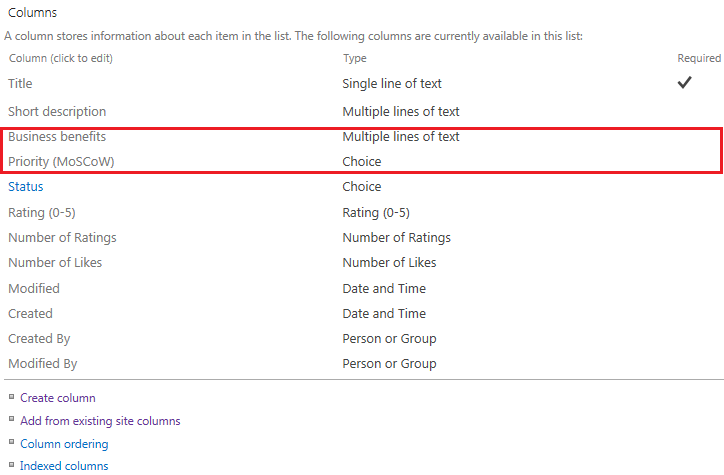 On the contextual menu of your custom list (on mouse over, click […]), then click on SETTINGS. You might input some sample data on the list. I suggest you add your custom list web-part on the PWA home page, as follow. Select one of the idea in the custom list, then go on the ribbon ITEMS’ tab, and click on Create Projects. 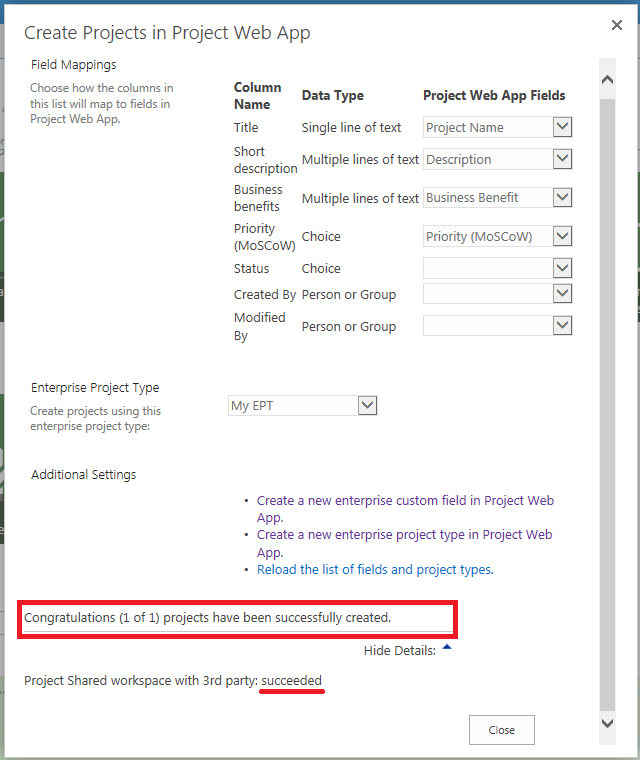 The [Create Projects in Project Web App] window pops up. 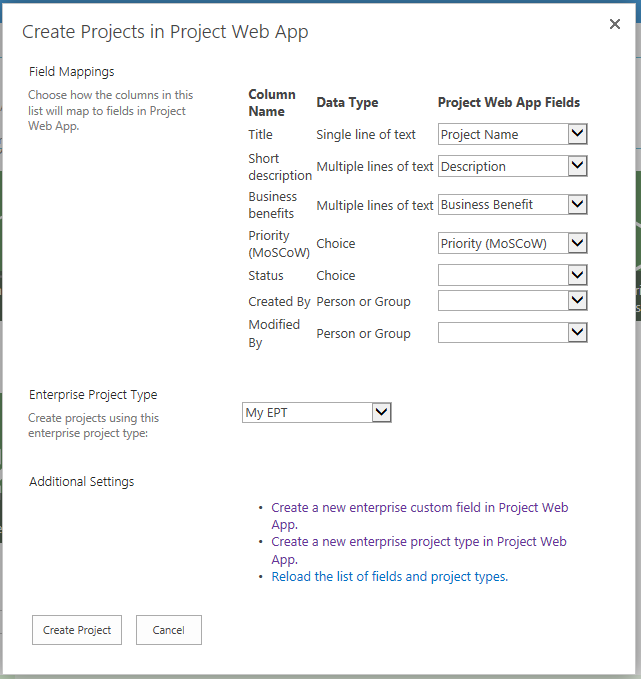 This is where you have to match the custom fields of your list, with some Enterprise Custom Fields you have defined in one of your EPT (you might check my previous blog post Createan Enterprise Project Type with Project Server 2013). Match fields as set in the following print screen. Let’s see how my project has been created. Go on the Project Center. Your project is displayed. Click on it to display the [Project Details] page, you will see the fields extracted from your custom list (Priority and business benefit).